Being a businessman, you know the importance of email marketing. The weight it carries, as far as driving traffic to your site or marketing your business is concerned, is enormous and heavy and that is the reason why it is must to do. But how to measure your email marketing performance is a big question here, as we know so many tools that can help us in email marketing but the measuring part is still somewhere in the dark. 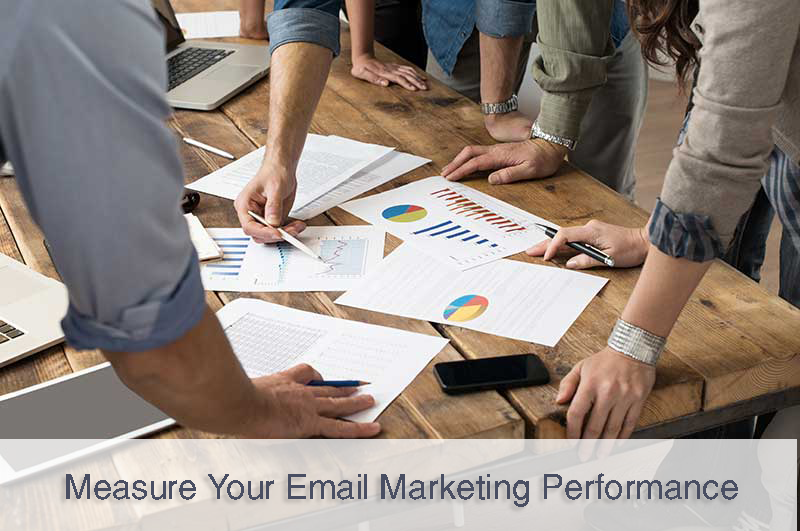 Let’s unravel the hidden secrets of how to measure your email marketing performance. Reading, analyzing and taking insights from any of your email marketing campaigns can be troublesome and sometimes even painful because you are surrounded by a lot of numbers and aren’t sure of what the actually mean and that’s the biggest reason why sometimes small-medium business owners struggle a lot with the measuring part. Reviewing your email marketing campaign is necessary as it explains opportunities to improve the impact of your email messages, boost more value to your customers and prospects, and finally building an interactive fan base. Sales are the top most priority for any size company and to see how much revenue your emails are successfully generating, you must track the sales that resulted from each individual email. Once you have current stats, it would be a lot easier for you to target right set of people with the right set of content and products. How to increase Sales figure? Review your emails that are attracting higher-than-average revenue and those that have been total flops. What are you saying in the successful email that’s missing in the one that is not performing well? You may be inconsistently focusing on a need your subscribers have or are failing to generate their interest in the products or services you’re selling. Remember, your emails should focus on bringing value to your audience. If you are up and running a business from last few years, you must be well aware of the term ” Abandoned Basket “. These are the people who were on the verge of purchasing your product but somehow changed their mind and left the basket unpurchased. You should have a well designed abandoned basket email ready for these set of people and present them the same product in some different manner since sometimes presenting things differently can do the trick. You can provide them a special coupon or some extra services to encourage them to purchase your product or service. Still not sure why your emails are performing poorly? Consider conducting a simple split test on different variations (such as a different headline, call to action, design layout, etc.) of an email to help you identify your subscribers’ preferences. Click reports highlight those live links which are being clicked the most by your client base and which has not left it’s impression on the user and underperformed in your email campaign. To measure your email marketing performance, make sure you are keeping an eye on them. How to increase click through rates? If you notice a link isn’t attracting a lot of attention, consider changing the way you present the information (such as adding more enticing visuals) or removing it from future emails. Frequently including links that aren’t valuable to your audience may hurt their perception of your brand. If a link attracts a significantly higher number of clicks than others, continue featuring relevant content and links in upcoming emails. Find a new way to include it again, or share related products or news. If you have a specific set of subscribers who shows very strong interest in a unique content type, send them more relevant and niche surveyed data as per their interest block. This report tells you how many people opened your email and when they opened it. Your open rates can reveal various insights, such as the strength of your subject lines and the best times to send an email to your subscribers. How to even higher open rates? Be clear about the content and benefits subscribers will get from your emails (e.g. helpful tips, industry news, coupons) and deliver on that promise. If they signed up for one of those reasons, they’ll be more likely to open your emails to get what they want. They always say the first impression is the last. As far as emailing somebody is considered, this fact is true because a majority of people decide whether to open the email or not depending upon the subject line of the email. You have around 35 characters to leave a lasting impression – use this space carefully and be clear about what the email contains. Discovering someone unsubscribed from your email list can be disheartening. But it’s a great opportunity to explore the reasons why they left and what you can do to bring them back or prevent others from leaving too. Redirect those who want to unsubscribe from your emails to a unique landing page that asks them why they’re leaving. Consider using their feedback to help shape and improve future emails. Make sure you’re setting your emails up for success and taking care of the basics. This includes using confirmed opt-in (people are less likely to unsubscribe to an email if they take the extra step to confirm their subscription) and setting accurate expectations as to what subscribers will receive in your emails. To lessen the impact an unsubscribed subscriber leaves, be sure to remain proactive in collecting new email sign-ups each month. This will also help you grow your list over time. To acquire a sale, you have to direct your consumers on the specific set of pages as per their need. Traffic reports reveal how many subscribers are going to your website. How Consistent Your Emails Are? When you initiate sending regular emails to your subscribers, make sure you have content and designs ready in advance to shoot, as inconsistent emails can cause subscribers to forget about why they have signed up to your list or which brand are you. Call to Action buttons plays a major role in diverting your traffic to the correct place. A hidden call to action will be of no use since no one really knows where it is and where will it redirect. Whether your user is being redirected to your homepage or some blog post, make sure there is always a logical next step your audience can take. Make sure to sprinkle relevant links that link back to your site in the email as this helps to drive traffic to your website and other branded properties you own. Make sure the links you are inserting are not broken or being directed to a 404 page. These little things will help you to measure your email marketing performance with ease. What Value Your Content Holds? If your emails don’t pass the “What’s in it for me?” test, it’s time to re-think your email content strategy. Address the needs of your customers and prospects by delivering information that interests them. If the stats for one email are unusually low compared to others (or if your bounce rate is abnormally high), your emails may not be reaching your subscribers’ inboxes. While many factors can influence email deliverability, it’s commonly caused by a high number of spam complaints. The more subscribers mark your messages as spam, the greater the likelihood that an internet service provider (e.g. Gmail, Yahoo, AOL, Outlook), may place future messages in junk folders. So, these are the six metrics to be considered to measure your email marketing performance, hope you liked the blog post. I know it’s a bit lengthy to read but it’s worth it. Comment below if you have any question about the blog post. And yes make sure you have read the first two parts of this blog post Grow Your Business With Email Marketing and Email Marketing Tips and Tricks. And yes if you are looking some SEO Tips and SEO Tips for WordPress Owners, read them out here. Email Marketing is a must nowadays and it’s the cheapest and most effective way of marketing channel as it delivers a whopping 4300% ROI, maximum when compared to all other mediums of marketing. 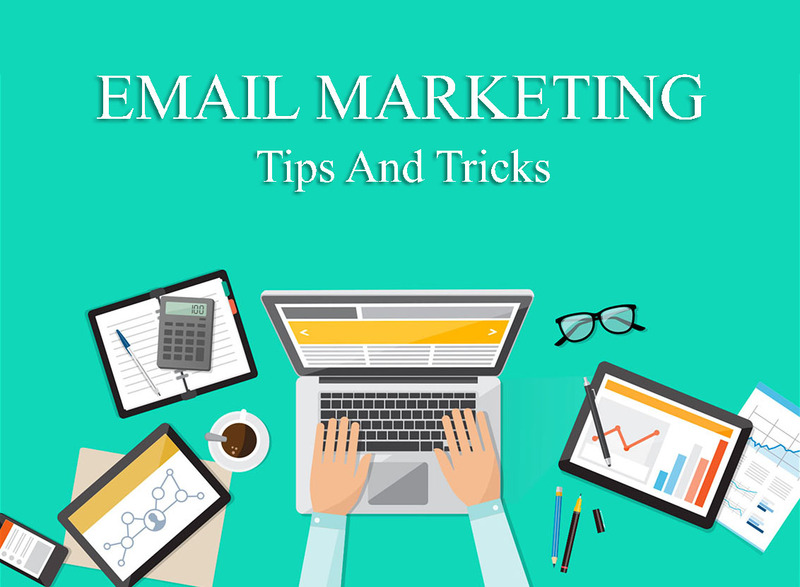 So, to fulfill the winning dreams, it is must to learn some email marketing tips and tricks. In this blog post, we are going to talk about various factors of email marketing like types of emails, how to create a power-packed email, how the mail should be designed keeping your subscribers in mind, and what is the suitable time to send your emails. Let’s start with our little email marketing tips and tricks session. The main purpose this type of email serves is to confirm that new subscribers now wants to receive your mail. It works as an autoresponder to those who sign up for your newsletters or email subscription. As the name suggests, this email is to welcome your new subscriber to your list and thank them for joining. If you promised some offer during sign up, this is the time when you should deliver it. Again, as the name suggests, broadcast mailer works as a one-time message mail, so you can design it in advance. You may use a broadcast to inform subscribers about an upcoming sale or event or to send monthly newsletters or blog updates. subscribers to a company and products. It’s a step by step process. In the first email, you can welcome new subscribers, following with the welcome message, teach them more about your company and products, and how they may benefit from them. Or, you can shoot a series of emails to further educate your subscribers about a niche topic (such as how to use a product or service). A dentist, for example, might create a follow-up series with healthy gum tips (e.g. When to go for a checkup, or how to brush properly etc) that can help any new customer. In this way, your emails allow you to drive people to your website or business. 2. How To Write Emails? In your emails, the answer should be clear within the subject line and first half of your email. This is crucial in creating effective emails strategy that people not only want to sign up for but also open again and again. And the more loyal they become to your emails and brand, the better it is for business. While you can use any of the topics above to start our email campaign, don’t hesitate to ask your subscribers what type of content they’d like to receive from you. Simply send along a survey, or ask for them to respond to your email with ideas and feedback. If you want to create content that your subscribers love and benefit from, it might be easier to learn right from the source. To take your email message to the next level, consider adding a personalized touch. Addressing each subscriber by their first name instead of “Sir or Madame” creates a more intimate brand experience. 3. How To Design Emails? Great content is an essential pillar to creating an effective email, but it goes hand in hand with the presentation. Not only are visuals processed 60,000 times faster than text, they also have the ability to influence a person’s emotions, which then impacts their behavior. If you’re not a pro designer, the task may seem a bit tough. But by simply following the basics or downloading a pre-designed email template, sending beautiful emails can be very easy task. Using a color scheme that’s consistent with your branding, yet easy on the eyes of readers. Avoiding a layout with more than one column –multiple columns can make your email appear cluttered and difficult to read on smaller mobile devices. Breaking up chunks of text with visual images. Readers prefer short blurbs of information, which can be easily presented by including graphics and lines when necessary. Featuring the most important content at the top of your email, with less salient information at the bottom. Or, include a brief overview of your email contents in the header of your email. Consumers want the ability to quickly scan and pick out information that’s interesting to them – providing a visual hierarchy of content will make this possible. 4. When To Shoot Emails – Best Day and Time? While there are many variables that affect whether or not a person opens your email, one element you can control is when you send it. To determine the best day and time to send your emails, research the average send times in your specific industry. If you want to see if your unique subscribers have different preferences, try sending an email on different days and at various times. Then, review your open rates to determine which gets the most opens. Another thing to consider is consistency. By sticking with a regular send schedule (such as every Monday or the last Thursday of each month), your subscribers will have a better idea of when they can expect to receive content from you. This not only makes it easier for you to stay organized from an email creation standpoint, it also makes you appear more trustworthy to customers and prospects. In addition to sending generic emails to your entire subscriber list, you might want to consider sending emails with tailored content to a specific group within your audience.For example, an online clothing retailer with customers from around the world might send promotional emails to a segment of subscribers based on where they live. This can allow a business owner to send emails specific to local seasons and national holidays. By providing content that’s even more relevant to your subscribers, the greater the chance they’ll make a purchase. For example, an online clothing retailer with customers from around the world might send promotional emails to a segment of subscribers based on where they live. This can allow a business owner to send emails specific to local seasons and national holidays. By providing content that’s even more relevant to your subscribers, the greater the chance they’ll make a purchase. Hope you’ll gain some positive insights from this blog post. Keep reading for an upcoming following blog to this one. I would more than happy to answer any of your niche queries, comment if you have any. Also if you haven’t yet read the first part of this blog, Grow Your Business With Email Marketing, read it. And also Top Offline Marketing Strategies and How To Setup Google AMP on your website.